Halloween is a great time of the year and we all like a Pumpkin or two. 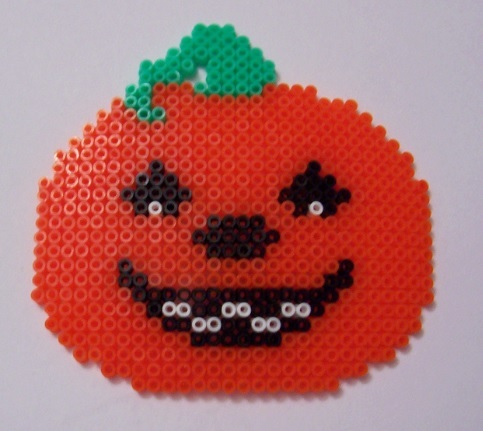 Here is a quick and easy Hama Bead Design for you and the kids to do. 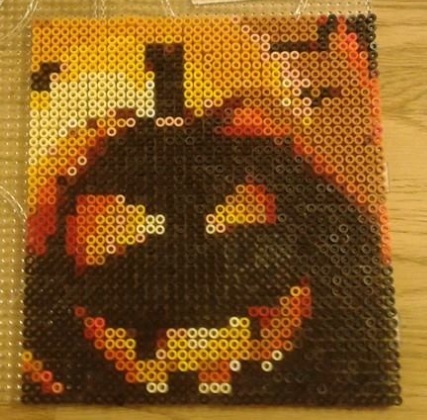 What you require to make this pumpkin out of Hama Beads. Colours required – Here is a list of the colours you will require to make this Pumpkin and the part number of the individual coloured packs. Mike Wazowski is the lovable best friend and assisant to James P. “Sulley” Sullivan, the top scarer at Monsters Inc.
Mike is a green monster with a ball-shaped body, a single big eyeball, and skinny arms and legs. He runs Sulley’s station on the scare floor. Mike has an outgoing personality and is dating Celia Mae. He has an ego that often makes him forget something obvious, such as how his face is obscured in advertisements for the company. He makes cameo appearances in Finding Nemo, Cars, WALL-E, and Toy Story 3. 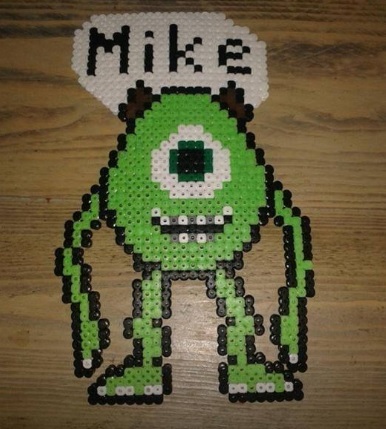 What you require to make Mike out of Hama Beads. Colours required – Here is a list of the colours you will require to make this Alien and the part number of the individual coloured packs. Special Note: I think you might find the arms rather weak. You might want to try making them a little more sturdy. 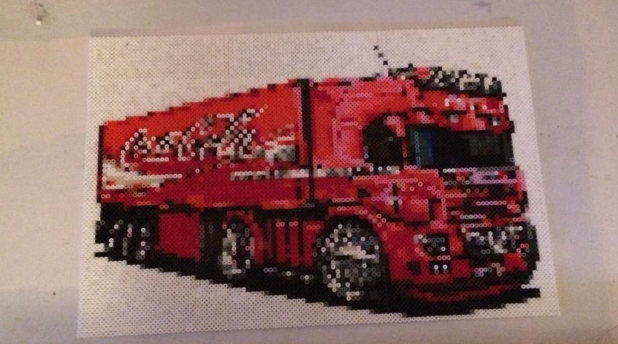 Thank you to Leanne for sharing this with us on Facebook! First seen in Toy Story 1, the Little Green Men (LGM) have become very popular with fans of the hit Cartoon. I still laugh at the scene when Buzz Lightyear first meets them in the toy grabbing machine. Buzz Lightyear – ‘Who’s in charge Here?’. Here is a quick design for you to be able to create your very own or create all your favourite Toy Story Charachters in Hama with the Toy Story Hama Pack. 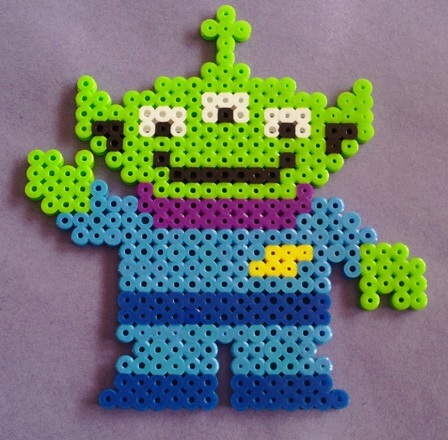 What you require to make a Toy Story Alien out of Hama Beads. His role is that of the practical village leader and the father figure of 100 or so young Smurfs, using his wisdom and his knowledge of magic and science to protect them from various forms of dangers that exist in the Smurf forest. He is identified by his red Smurf hat and pants and by a shortly-trimmed white beard and moustache. Papa Smurf always tries to get everyone to do the right thing. He’ll even go out of his way to help Gargamel and Azrael much to the annoyance of the other Smurfs. 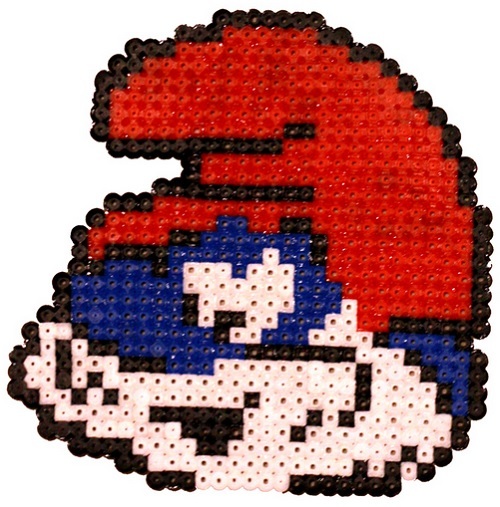 What you require to make a Papa Smurf out of Hama Beads. 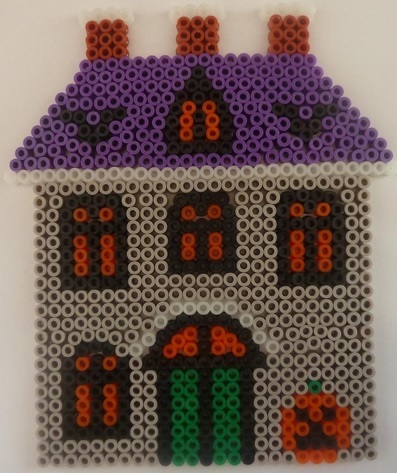 The number of boards will depend on how you place the beads. Colours required – Here is a list of the colours you will require to make this Papa Smurf and the part number of the individual coloured packs.